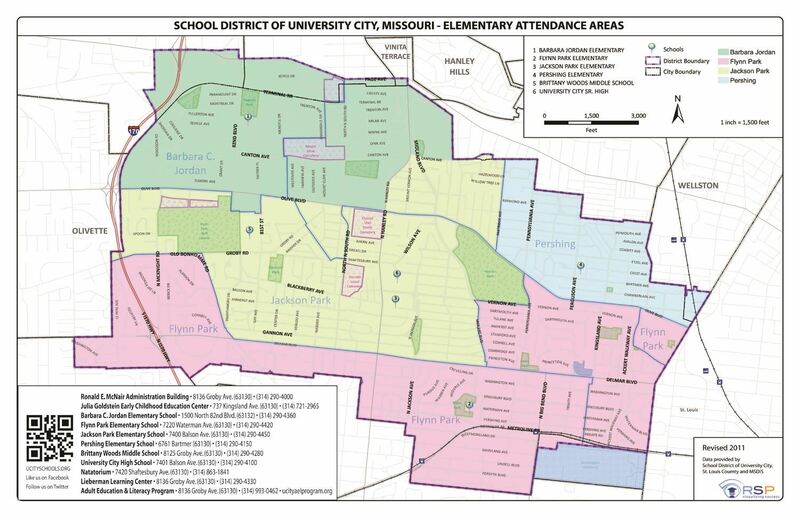 The School District of University City has an online school locator tool where you can enter an address to determine which of the four elementary schools a child at that address would attend for grades K-5. If you are seeking information regarding verifying your address/school or procedures for enrollment, please call the office of Student Services at (314) 290-4045. Preschool students attend Julia Goldstein Early Childhood Education Center. Students in grades 6-8 attend Brittany Woods Middle School. Students in grades 9-12 attend University City High School. Alternative school students attend the Lieberman Learning Center. Uncertain as to if you reside within the University City boundary? Click here to visit the Missouri Department of Elementary and Secondary Education for a link to their state-wide map.